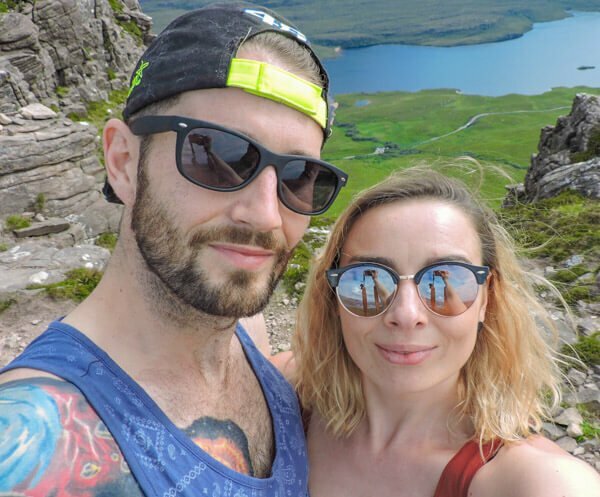 You could easily spend one week in Hungary’s capital city, Budapest, but I wouldn’t blame you for escaping from the city – those ruin bars really do take hostage of your liver! Here are the best Budapest day trips Hungary has to offer. Below is a guide to Hungary’s popular and lesser-known Hungary day trips. 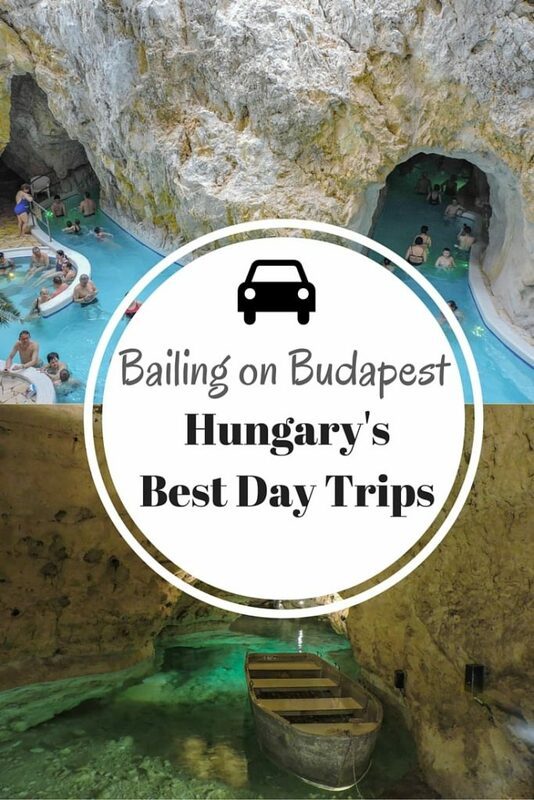 Many of these suggested day trips from Budapest can be done by train, others are best enjoyed with an overnight stay. Do visit Budapest but then say hello to the rest of Hungary! You only have to travel 30 minutes to reach our first Budapest day trip. Memento Park has 42 displays of art from the Communist era starting from 1945 to 1989. Expect to mingle with Lenin, Marx and Engels. Tokaji dessert wine, Bulls blood wine, and a castle: Hungary’s second biggest city in the north, Eger, put Hungary on the map back in 1552 when an outnumbered Hungarian army saved the country from an intrusive Ottoman army. More details of the historical event, as well as activities such as archery, can be found at Eger Castle. Do try the food at the 1552 restaurant, there’s a Michelin star chef behind the pots and pans! Eger has a small park area, water park (seasonal opening), Turkish baths, and a swimming pool. Day trips from Budapest to Eger are pretty straightforward, easily reached by train, and economical. If you are staying in Eger, be sure to enjoy that 75p beers! We stayed close to Eger whilst volunteering in a small Hungarian village. 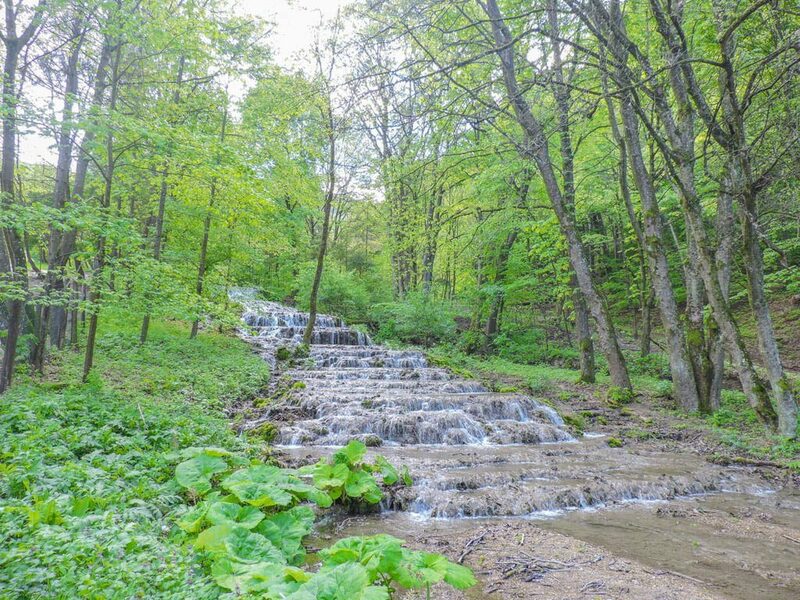 Szalajka Valley is home to Fátyol (Veil) waterfall maximum and takes an easy 40-minute stroll through a paved forest to get to. If walking isn’t your thing, check out the train! Daredevils may want to try out the bike routes (bike hire available at the start of the hike). The crystal clear waterfall carries some controversy over whether the steps within the waterfall are natural or man-made! Plenty of restaurants at the foot of the walk making it an easy half day out from Budapest and Eger. Nature lovers will appreciate this day trip near Budapest. So you’ve dipped your toes into the inside and outside pools of Budapest’s most popular spa, Széchenyi, what about swimming in a cave? 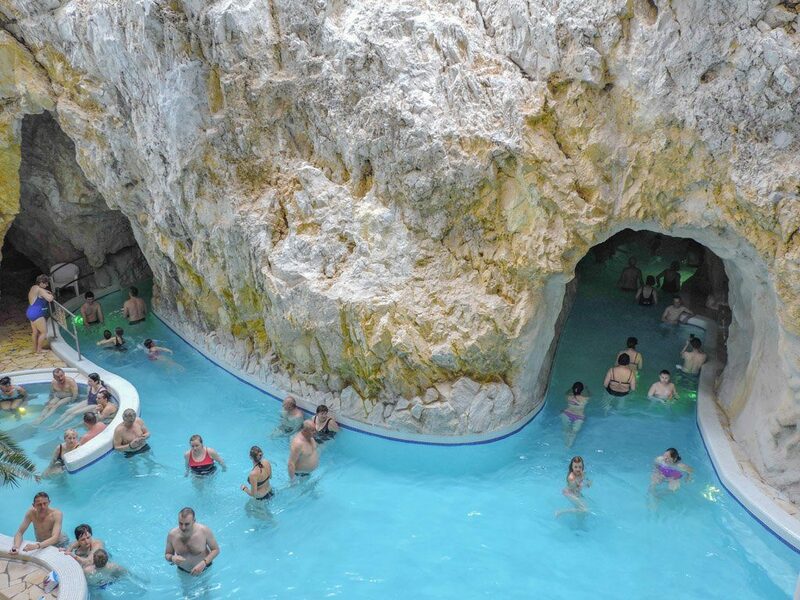 Miskolctapolca aka Hungary’s cave bath does exactly as it says on the tin, with the addition of an outdoor bath as well as a sauna (additional fee). The usual beauty therapy treatments are available, I recommend the back and foot massage (5000 FT / £13 for 40 mins). Weekdays would be best for maximum relaxation, screaming children kind of kills the buzz at the weekend. Miskolctapolca’s thermal bath is situated in a charming park which has its own baths and plenty of eateries. Langos anyone? The town of Miskolc itself has a nice street of shops, lots of ice cream parlours, and a small canal type water area. One hour from Budapest takes you to the Danube Bend which is more of a scenic drive than a tourist spot. 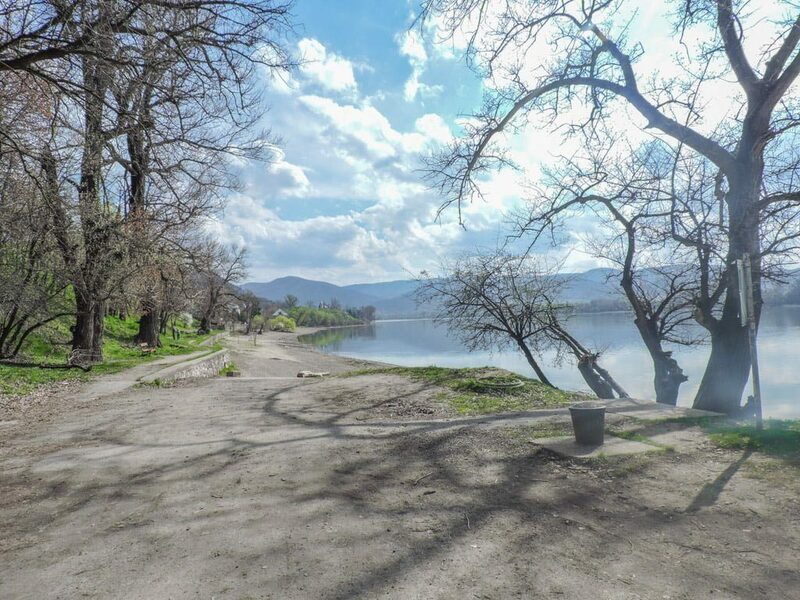 There are a few walking routes and a cycle path in Nagymaros (bike rental available). There are many Danube Bend tours if you would prefer to not to drive or take public transport. Trekkers! Hop off the road trip here and check out this hiking near Budapest guide. Esztergom is home to a large Basilica and if you feel like popping over to Slovakia for the day, take a ride over the bridge! Tip – there’s a great photo opportunity of this stunning Basilica on the Slovakian side. Once the popular holiday home destination for Hungarians during the communist era (when they were forbidden from leaving Hungary) this 50-mile long lake is still popular with locals and tourists alike. Most easily discovered by car (but some areas are doable via public transport), we took a road trip stopping at the following. Hungary’s answer to Ibiza (apparently, yet to see evidence of this!) has a couple of restaurants, an H&M, and an out of sync chiming clock. Hungary’s Hévíz is home to one of the world’s largest thermal lake which reaches temperatures of 38 degrees in summer. A spa complex has been built around the lake with an inside bath, saunas of various temperatures, and jet pools. 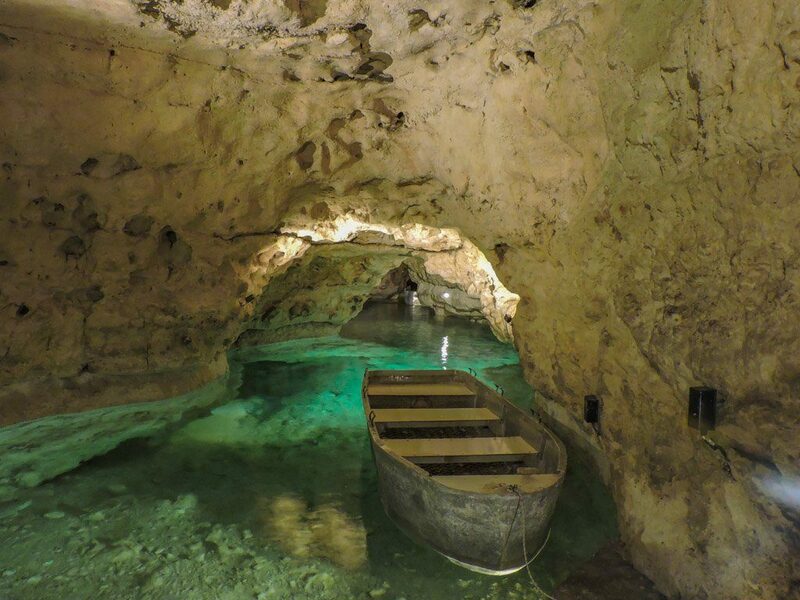 Take a boat ride through a mineral healing underground cave, watch your head though! Not for the claustrophobic amongst us. Found on the Northern shores of Lake Balaton, Badacsony is popular for its vineyards. Airbnb is also an alternative housing option, we stayed in Csajag in a very comfortable 10-bed room (to yourself). The accommodation had parking and free wine (and Palinka!) New to Airbnb? Sign up using our code and receive money off, we get credit too. Win-win! Vienna truly is a lovely city with its stunning architecture and vintage fairground. There are lots of sundown drink opportunities in and museums in the land of dreams. Opera lovers should not miss a show and dancing fans, check out Vienna’s ball season! Did you find this useful? Pin to your Hungary board? 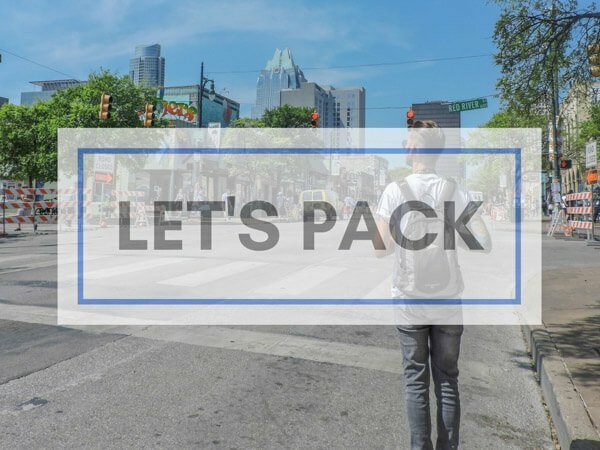 Over to you, any questions about day trips from Budapest? Distance and prices accurate at the time of writing – if this changes, do tell us! This really makes me wish I’d had more time to spend in Hungary!! Always a reason to go back! Have you been to Slovenia? Also loving it here – can’t wait to write about it! Nope but it’s definitely on my list! Very beautiful place, fell in love, I will now put on my list also, thank you. Ah lovely! 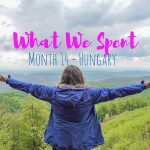 We actually spent one month in Hungary so we covered a lot of the country. Have fun going back to your roots! 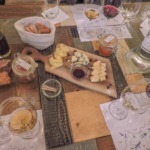 Ps – the food is so good! Fantastic! I’ve been three times previously, and going back for one month very soon! Nagyon finom! I’ve just completed a book… a memoir with recipes… of course, Langos recipe is included! Et à Pecs,il n’y a rien a y voir ???? Nous aimerions aller là bas l’année prochaine. Pecs looks pretty and appears to have a lively social life (however we didn’t experience that in Siófok which was supposed to be Hungary’s Ibiza! ), we were ready for something less city like so skipped it! Let me know how you get on. 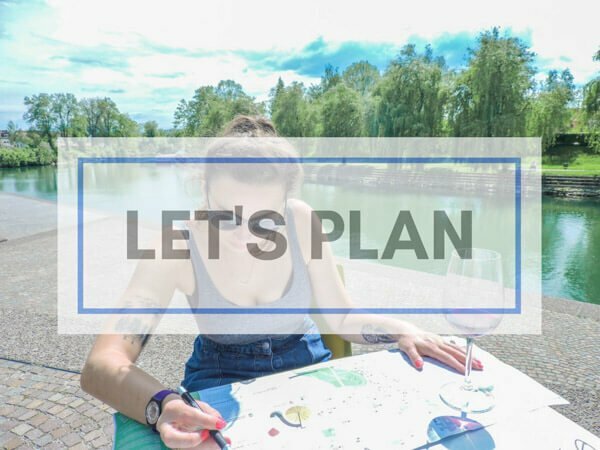 Thanks for this – I have a six day trip coming up and I was considering Budapest but thought 6 days may be too much time so I was looking for a few day trip options! The cave baths look great! WOOP! You have a great trip, lots to see in Hungary. Great article. I would also add Hortobàgy National Park and the Hungarian Cowboys or even Lillafüred for a day trip. Love this post, thank you! 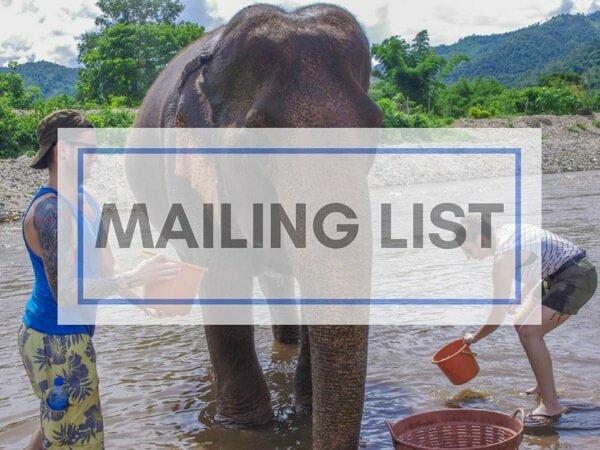 If you could only do one of the trips you mentioned, which one would you pick? Good question! 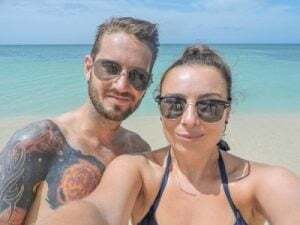 It depends what you are looking for – the spa in the cave (Miskolctapolca) is interesting, if it was midweek I’d choose that (was very busy with kids at weekend). This is really an amazing country. Thank you for your interesting post and colourful photos!